In the pickup truck world, the half-ton ones are the most popular choices due to a combination of relative affordability with remarkable versatility. As automobiles that are equally good as haulers and passenger rides, the Ram 1500 and the Ford F-150 are evenly matched—at face value. For the 2017 model year, U.S. News & World Report has them in the top tier of its Full Size Pickup Truck category, based on its aggregation of ranking and review data. However, dig a little deeper, and the Ram begins to stand out from its Ford counterpart in certain areas. Vehicles like the Ram 1500 and the Ford F-150 are much better regarded for their engine power than being miserly on gas consumption. However, each truck does have a powertrain option to cut down the number of times (or bucks) you spend at the gas station. On the Ram truck, that choice is the 3.0-liter Eco-Diesel V6. With a rear-wheel drivetrain for better weight distribution from front to back, and paired with an 8-speed automatic transmission, the Eco-Diesel ensures that fuel economy peaks at 21 mpg in the city and 29 mpg on the highway. And that’s accomplished with a turbocharger and ample output, which is measured at 240 horsepower and 420 lb-ft of torque. On the Ford truck, the most fuel-efficient engine is the 2.7-liter EcoBoost V6, which provides 19 mpg in the city and 26 mpg on the highway. That’s 2 less mpg in city fuel economy and 3 less mpg in highway fuel economy than the Ram’s Eco-Diesel V6. More so than its Ford counterpart, the 2017 Ram 1500 is commended greatly for the quality of its interior. Usually, full-size pickup trucks have high-quality cabin materials on their upper-level trims. That’s not the case with the Ram 1500. The high-end materials used to construct the interior results in a cabin that effectively shuts out unwanted noise—whether you’re driving in town or on the highway, and regardless of what trim combination you go with. The Crew and Quad cabs in particular stand out with the ample amount of legroom they provide, and the front seats are designed to supply a high level of comfort on long rides. Complementing the quietness of the Ram truck’s interior is the smoothness of its ride. It’s an attribute that is not typically assigned to the Ford F-150. Credit that to a front suspension with an upper-and- lower A-arm design and a rear suspension with a five-link design, plus heavy-duty shock absorbers on both axles. Ready to find out for yourself why you should go with the 2017 Ram 1500, rather than the 2017 Ford F-150? 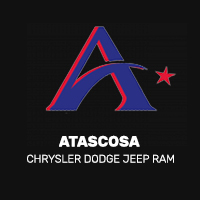 Whether you are in Pleasanton specifically or live in the San Antonio area in general, give us a call at our Chrysler Dodge Jeep Ram dealership today to set up an appointment. One of our Ram 1500 experts will be more than willing to help you with pinpointing the truck of your specifications. ** Based on model year EPA mileage ratings. Use for comparison purposes only. Your actual mileage will vary depending on how you drive and maintain your vehicle.